For most IT organizations, digital transformation journeys start by finding new ways to drive down operational costs. But while that’s a good starting point – and one that helps illustrate IT’s business value – there are other factors that should be considered from the jump. 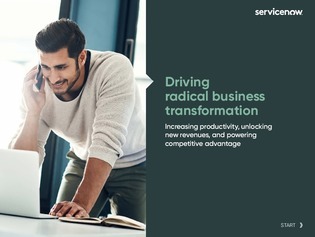 Check out this white paper to learn how to shift away from a cost-reduction focused to an innovation focused transformation strategy – and find out how the two are inherently connected. Inside, you’ll get tactical advice for aligning IT strategy to business objectives through ITSM, PMO, and other IT levers.